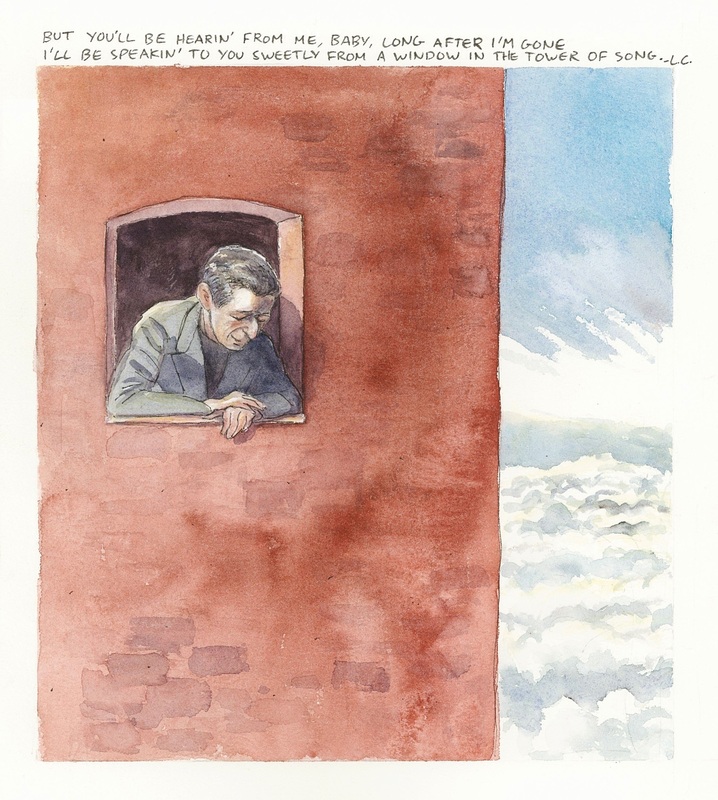 Image | This entry was posted in illustration, montreal, painting, Poetry, watercolour and tagged leonard cohen, tower of song. Bookmark the permalink. Is the original or any copies of the Leonard Cohen painting available for purchase? I’d love one — even a print, signed. Sorry not to have gotten back to you about this sooner, Claire. I think I’d rather not part with the original, but I’ll look into how to go about making prints the next time I visit my local copy shop. Lovely, Julian. Thank you for this. A tribute full of tenderness. I love this. Thank you for it.